It’s a new year, and exciting things have been happening at WordServe Literary! 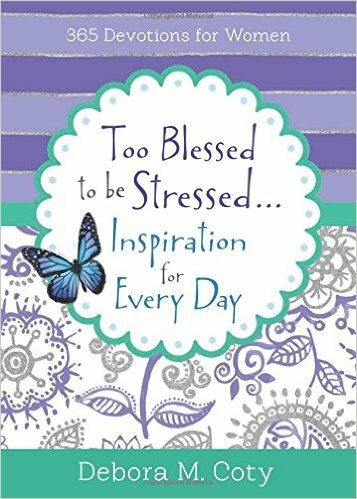 Debora M. Coty released Too Blessed to be Stressed … Inspiration for Every Day with Barbour. This 365-day devotional features just-right-sized, truth-filled readings (gift-wrapped in humor) for your heart. The Too Blessed to be Stressed daily devotional touches on everyday life topics like relationships, love, boundaries, hope, brokenness, and praise, while helping you to arrive at healing, refreshment, and revitalization of spirit, body, and faith. Dena Dyer re-released the e-book version of her book Grace for the Race: Meditations for Busy Moms with FaithHappenings Publishers. In this collection of short devotionals—perfect for those few stolen moments you can find in a given day—Dyer uses real-life stories, scripture, and gentle humor to encourage moms and assure them that they are not alone. 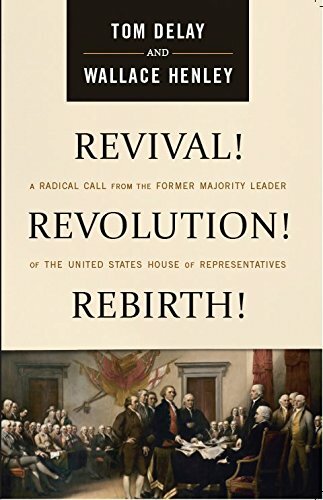 Tom DeLay and Wallace Henley released Revival! Revolution! Rebirth! with WND Books. America is at a strategic moment in history.Will the qualities that have made the nation exceptional be consigned to the grave like other historic civilizations, or will they spring up with new vitality? DeLay and former congressional aide Wallace Henley draw from their rich experience to show the powerful reasons for hope! Denise George and Robert Child released The Lost Eleven with Berkley. 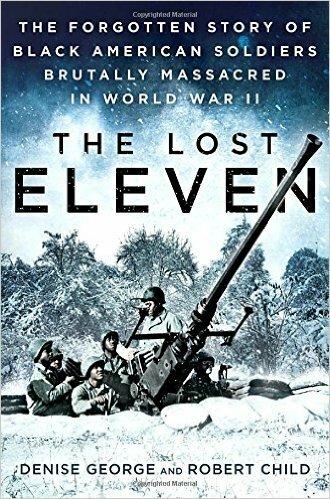 Nearly forgotten by history, this is the story of the Wereth Eleven, African-American soldiers who fought courageously for freedom in WWII—only to be ruthlessly executed by Nazi troops during the Battle of the Bulge. It’s a story of unheralded patriotism that should be read by all. Jonathan McKee released If I Had a Parenting Do-Over with Barbour. 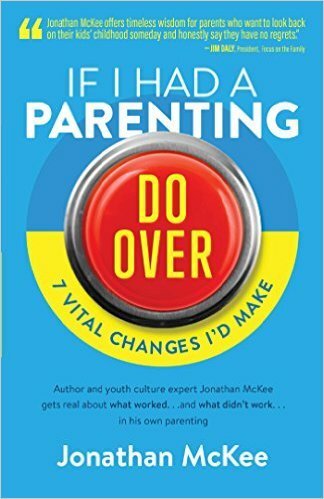 McKee offers real, practical help to parents who would rather learn from someone else’s firsthand experiences. . . in hopes of circumventing their own parenting flubs. The real-world application will equip readers with solid, helpful practices you can actually use in your own home. Dr. Daniel Amen signed a two-book deal with Tyndale. Memory Restore 360 will teach readers how to optimize memory through an intentionally healthy lifestyle, including diet, exercise, and spiritual practices. Raising Brain-Healthy Kids and Teens will teach parents how to care for and develop their child’s brain to optimize performance, physical and spiritual health, and emotional resilience. Steve Arterburn and Marcus Brotherton signed with Tyndale to publish Jesus Kid, in which kid narrator Kirby McCook retells old and New Testament stories, helping readers see that Jesus has had an important place in God’s plan for redemption from the beginning of time. Debora Coty signed with Barbour for the next book in her Too Blessed to be Stressed series, this one specifically for moms! Look for Too Blessed to be Stressed for Moms in 2018. Shellie Rushing Tomlinson signed with Barbour for the publication of Devotions for the Hungry Heart, a one-year devotional drawing on Shellie’s personal experience and identifying six attitudes of the heart that position the Jesus-hungry follower closer to God’s gracious table. Bob Izumi, Ronaldo Archer, Nigel Dixon, Kathryn Graves, and Walt Larimore joined WordServe Literary this month. Welcome! This entry was posted in Writing and tagged daniel amen, Deb Coty, Dena Dyer, Marcus Brotherton, steve arterburn, Too Blessed to Be Stressed, wallace henley by Greg Johnson. Bookmark the permalink.